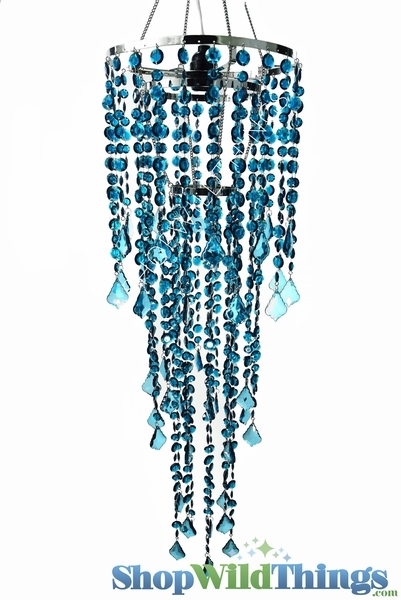 Our popular Diamante Duo Beads now come in a stunning shade of dark cyan blue on our new Diamante Duo Delight Mosaic Blue Chandelier! It's like sapphire blue with just a touch of emerald green, only lighter. It's a BEAUTIFUL, rich color. 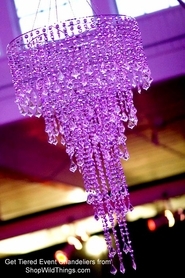 The bead clarity is superior and the light shining off these beads makes for an incredible chandelier that will fit into many color schemes. 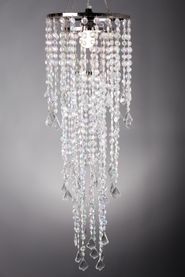 This chandelier has 3 tiers of beads that alternate from .5" to .75" in diameter with a 2" long pendant hanging at the end of each strand. All the beads are faceted which makes them glimmer even more. The tier rings are silver and measure 10.25", 7" and 4" in diameter. 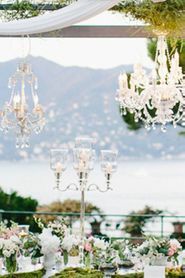 The chain comes with a hook that could be detached from the top tier if you'd like to place this chandelier on top of a vase or centerpiece riser. The total length with the chain removed is 33". From the hanging hook to the bottom pendant, the total length is 44". The strands are tied in bags so you won't have a tangled mess. Tranquility awaits! I'm over the moon with this purchase it's perfect in every way.